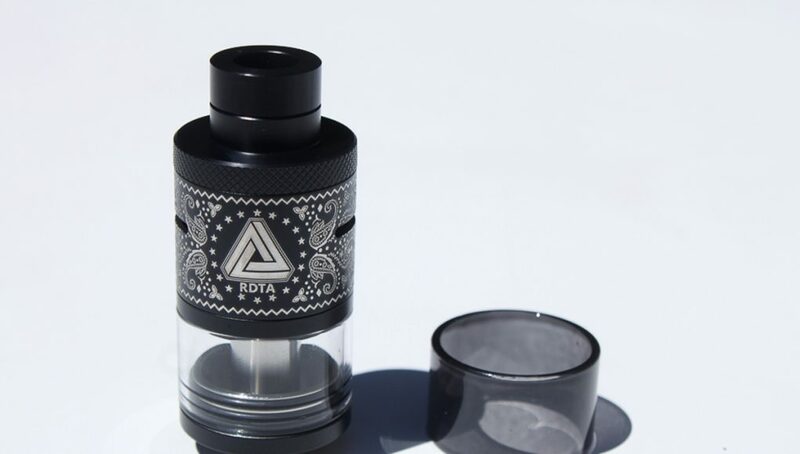 Two months after the release of the Limitless RDTA, born from the collaboration of two American modders from Limitless Mod Company and the Chinese brand Ijoy, the RDTA Plus now comes to our market. 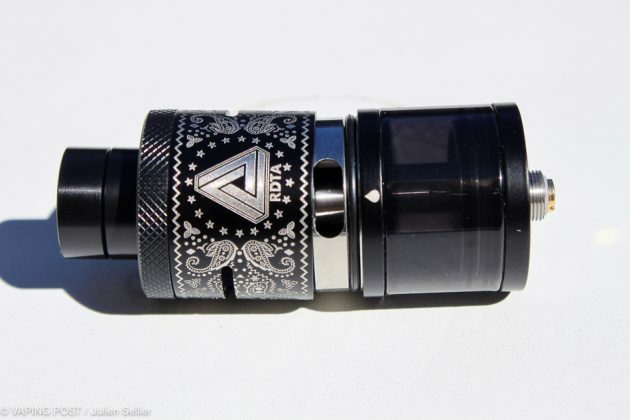 It takes the basics of the RDTA but is bigger with a few smart innovations that increase its vaping spectrum. 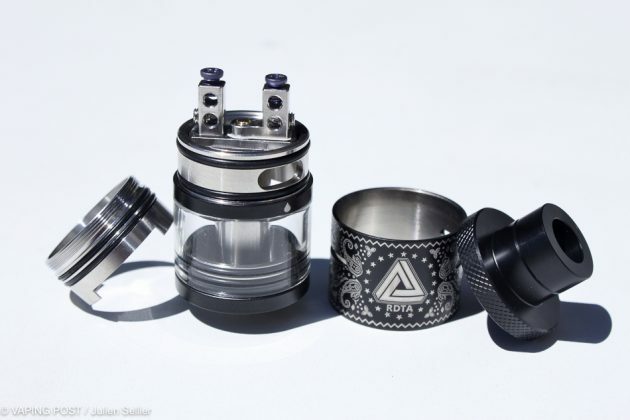 We are forced to assume that Ijoy and Limitless are loyal readers of Vaping Post because among the three negative points related to the Limitless RDTA, we stressed out the absence of 510 thread for a drip-tip and the absence of a chamber reducer for use in single coil. The Limitless RDTA Plus corrects those points and provides an adapter for 510 and a silicone chamber reducer. 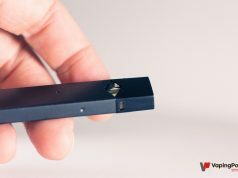 Of course, we were not the only one to notice these weaknesses be we nevertheless are grateful to Ijoy for listening to his customers. 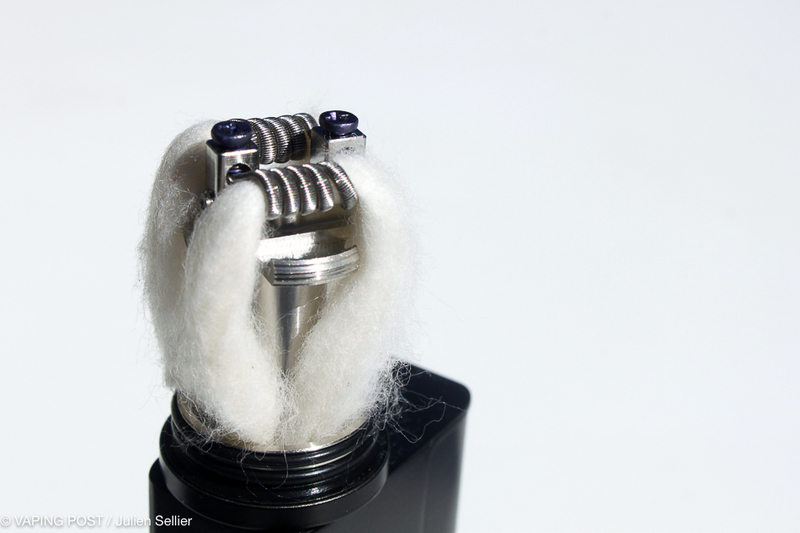 The third negative point was the huge consumption of juice because of the obligation to use the dual coil system. This one will certainly decrease with the possibility to use it in the configuration of single coil. Now, let’s review all the innovations that the “Plus” brings. 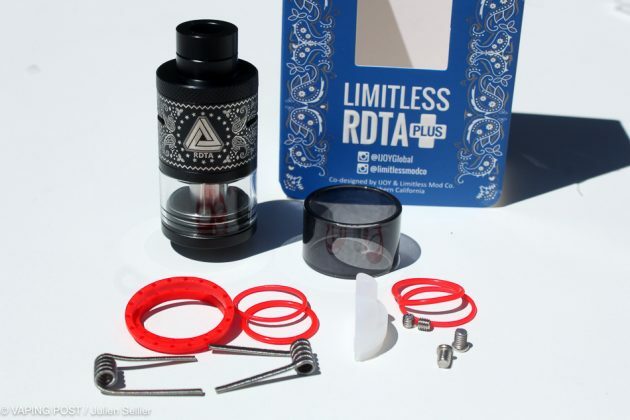 Limitless RDTA Plus is then a hybrid atomizer that is based on a dripper but to which a tank has been added to increase the autonomy of e-liquid supply. On this new version, its capacity increases from 4.0 ml to 6.3 ml, which becomes very interesting. 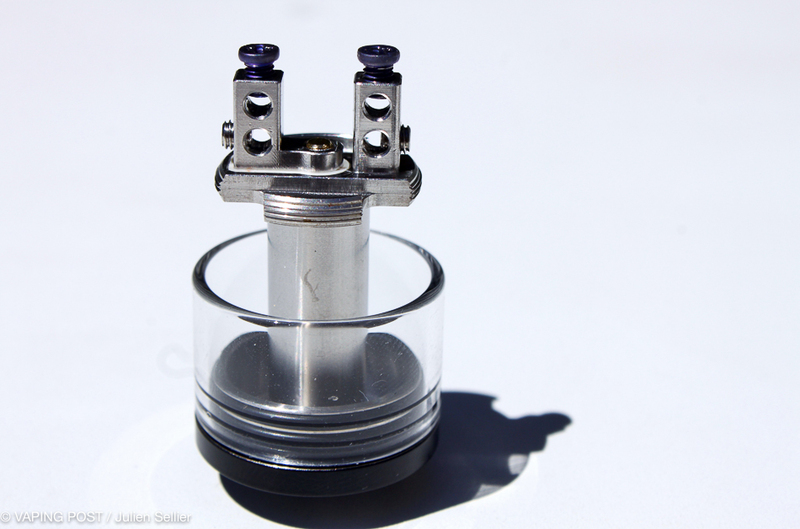 A Spare kit : 3 twised kanthal coils, 6 O-rings, 4 titanium cruciform screws and a screwdriver. The design of the Limitless RDTA Plus is still a top coil equipped with a velocity-type deck with two slots and four wholes.The Limitless RDTA Plus has gained a few millimetres, from 24.2 mm to 25.0 mm in diameter which is less elegant and even critical for a compact box like an eVic VTC Mini or a VTwo, for example. But its height has grew much more than the rest with 61 mm compared to the former 51 mm. Its drip top has been totally reviewed. 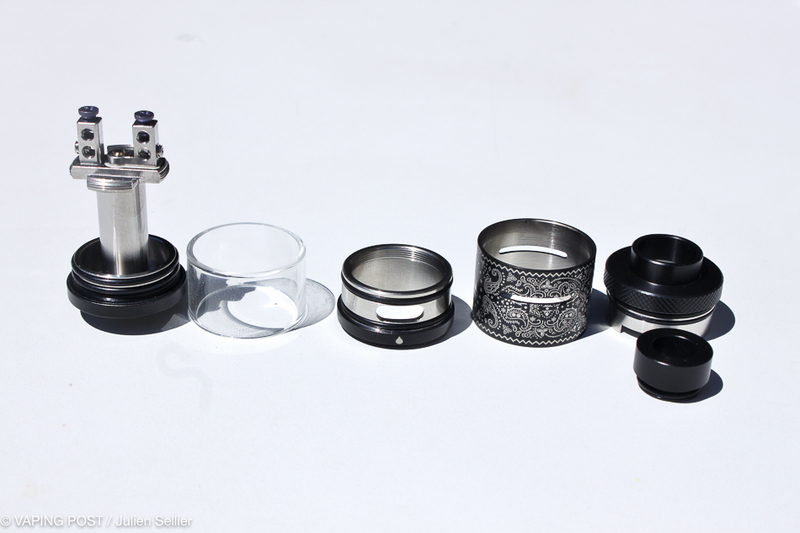 A better quality that sees the Delrin replaced by Stainless steel. 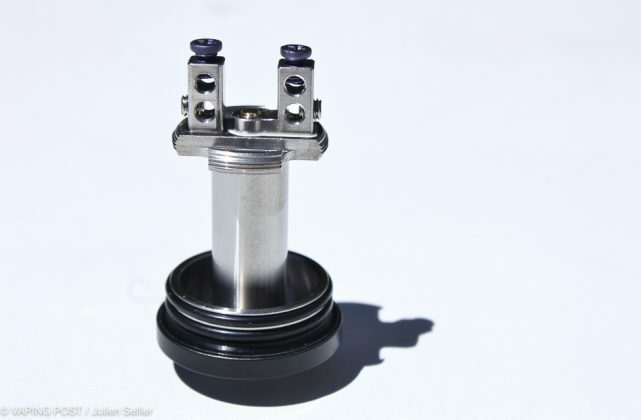 Larger, its diameter reaches 13 mm and the manufacturer provides a 510 adapter that enables the use of any drip-tip of this norm. 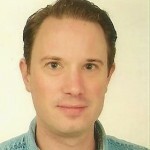 This little change considerably enlarges the spectrum of its possibilities. Its two wide airflows, cyclopean wholes, have been increased to reach 21 mm length and 2 mm width. The opening is adjusted by rotating the drip-top. The O-rings are bigger than on the classic version, its slides better and seems stronger. The two pins of the deck have been placed aside and offer now a comfortable 11 mm width. 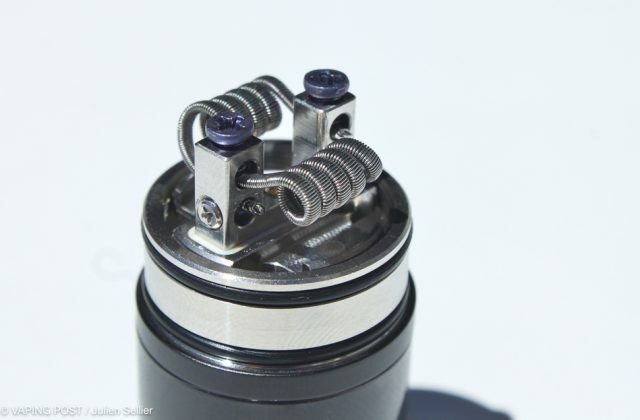 The wholes have been enlarged to 2.5 mm, which allows complete freedom of choice for home-made coils of any type or shape. The four-notch system located on the sides of the deck have been kept to allow the wick(s) soaking in the tank. The 510 pin is still in brass plated with gold with an insulator in Peek. 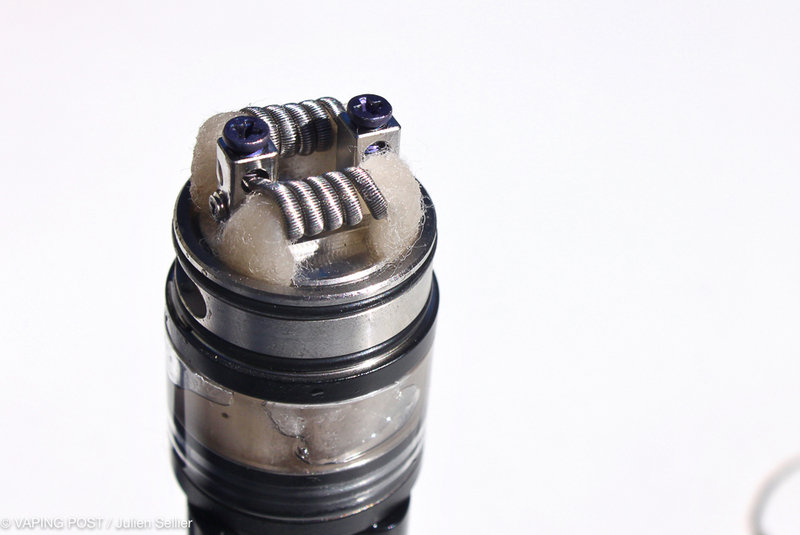 For this test, I used the two commercial Kanthal Clapton coils that were included in the kit. 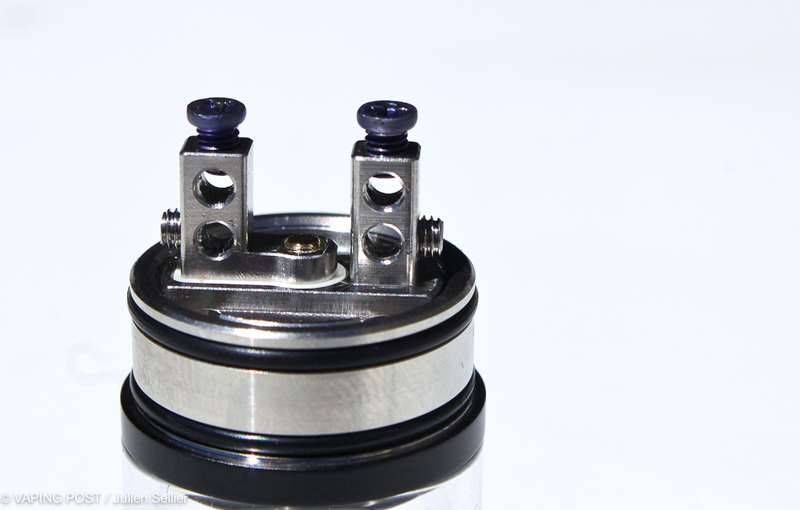 On the deck, very wide (21 mm), the two coils are mounted very easily. The screws are now of titanium and of very good quality. The setting gives a 0.2 Ω power. In order to optimize the rendering of flavors, make sure that the two coils are located in the aplomb of the airflow wholes, once the top is in place. If not, lift them a little. 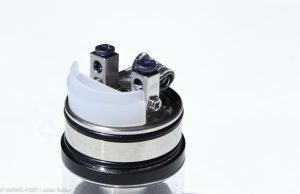 The filling system has not changed, the airflow ring can be lifted and make visible the large filling whole that is marked on the tank with a icon representing a drop. With the double Clapton coil in 0.2 Ω, the RDTA Plus is greedy. It requires power and juice. 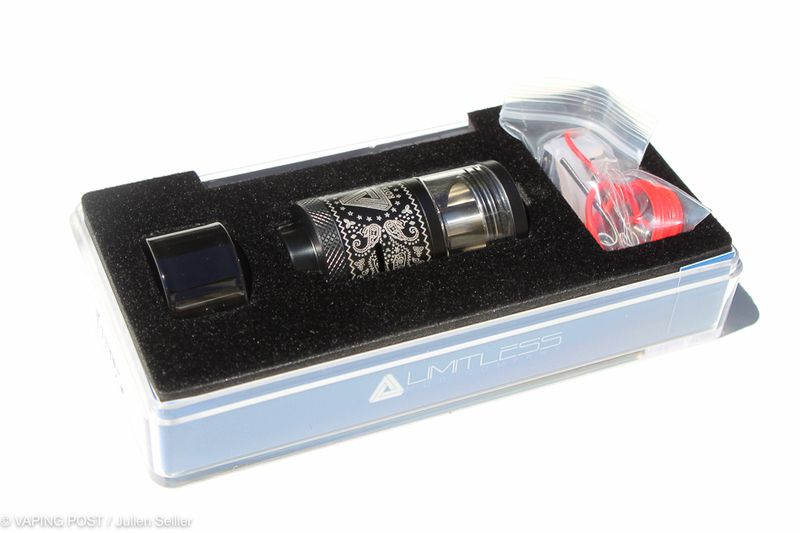 At 60 W with the airflows half open, flavors are just very good and the vapor is dense and abundant. 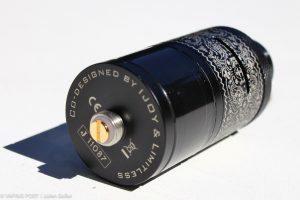 Obviously, this atomizer can go higher than 60 W but beyond 80 W, the vapor is hot and less tasteful to me. 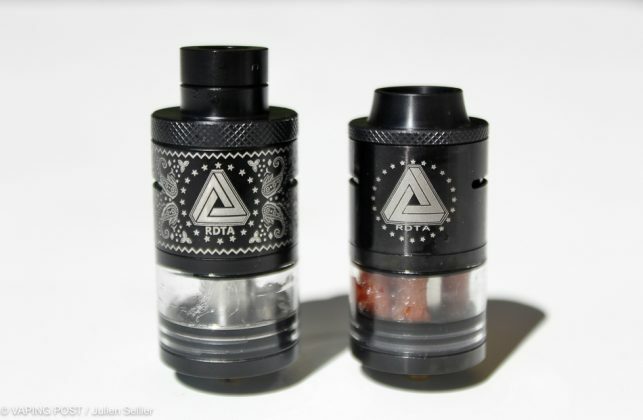 The RDTA Plus better deals with heat than the classical version. 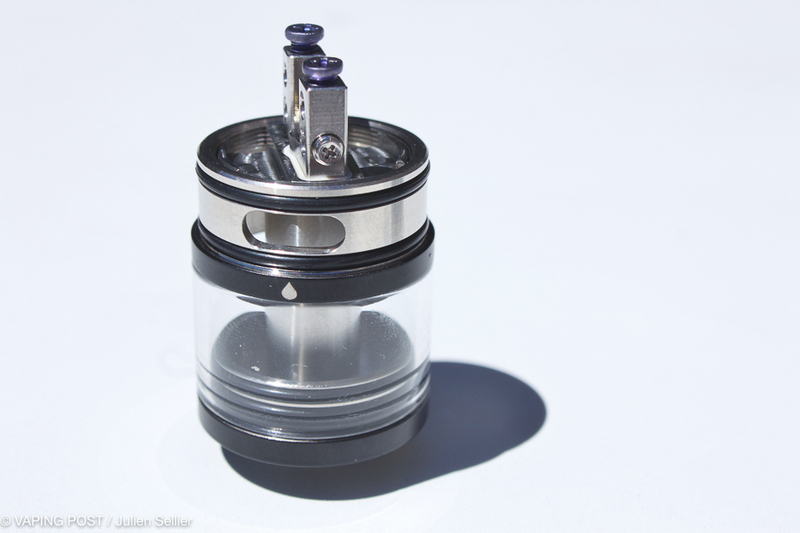 Chain-vaping at 80 W heats the top cap but does not burn the lips, a fortiori when a Delrin drip-tip is mounted. By simply keeping the top cap, it is like drinking the juice and it is not only a feeling. 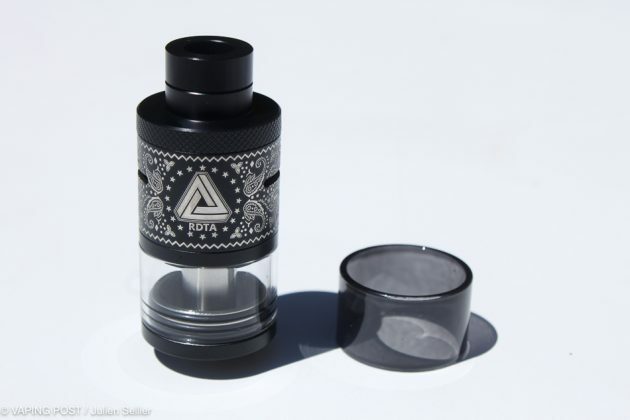 I noticed that on an early release, the top cap was curved and provided with a drip-top. 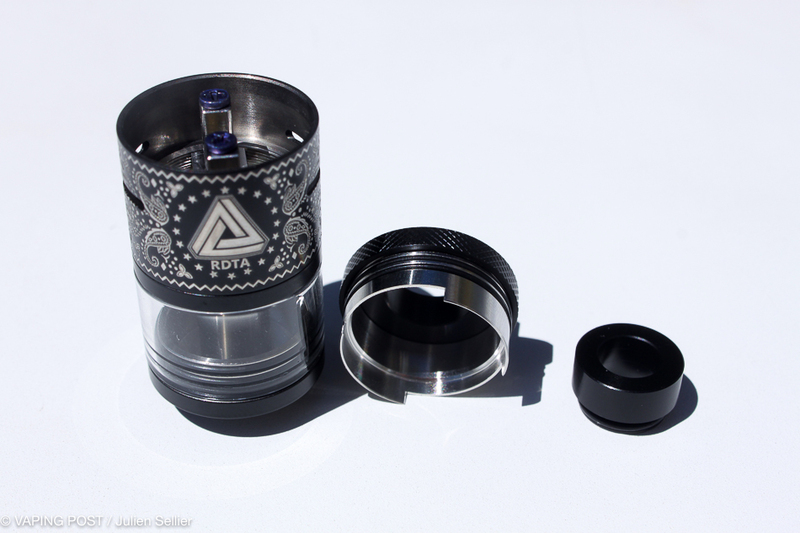 It is no longer the case, the actual top cap is flat and the drip-top disappeared, what is regrettable. The chamber reducer is the major step forward of this Limitless RDTA Plus that can now be used with a single coil mount. 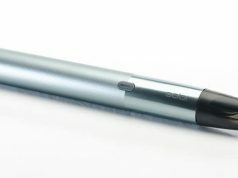 I did a try with a 6-spire 0.39 stainless steel coil of 0.65 Ω, which provides a tasteful and peaceful vape in MTL vaping with the airflow closed to three-quarter. It is, in my opinion, the asset of this “Plus” that really offers a wide range of vaping possibilities between the tightest MTL vaping in single coil with reducer, to the most aerial DL inhalation in dual coil, sub-sub-ohm, configuration and the airflow wholes wide open. Rating 4.6/5. 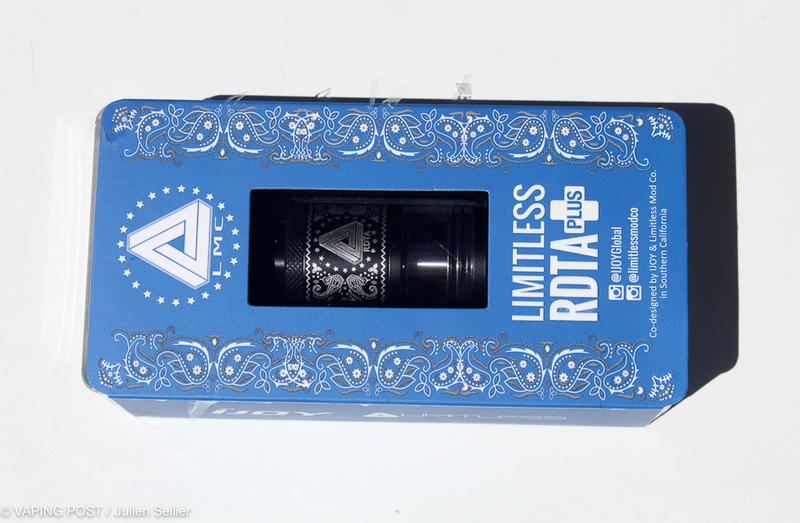 Ijoy listened to what customers reproached to the Limitless RDTA classic. By including a silicone chamber reducer and a drip top of a better design, the Chinese manufacturer literally vaporized the shortcomings of the former version. It is still capable of huge clouds but MTL is now possible. With elements of better quality, an easier and more robust deck, a larger capacity and many spare parts for a still reasonable price, it is not far from perfection in the range of vapor-oriented reconstructible atomizers. The only weakness is the large diameter of 25 mm that, esthetically speaking, limits the range of compatible boxes. Ijoy listened to what customers reproached to the Limitless RDTA classic. 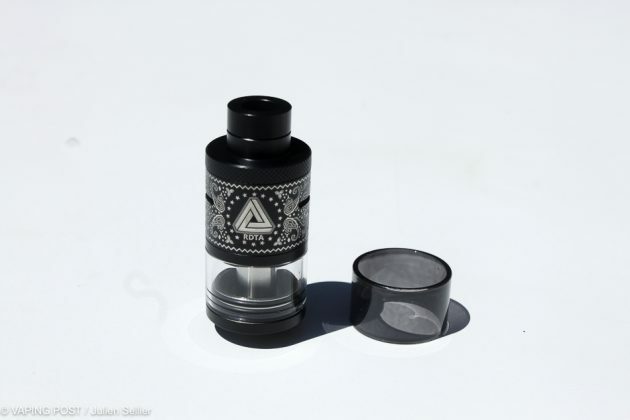 By including a silicone chamber reducer and a drip top of a better design, the Chinese manufacturer literally vaporized the shortcomings of the former version.